I won! | Living life in the carpool lane.. In: CutieQ Cards n' Crafts | Random-isms.. If you’ve been following my craft page, CutieQ Cards n Crafts, and following me on Instagram, CutieQ Cards, you would know that I’ve been pretty planner-addicted lately. I’ve been so into planners lately that I’ve been entering as many planner giveaways as I can that pop up on my crafting instagram feed. Believe me, there are many! 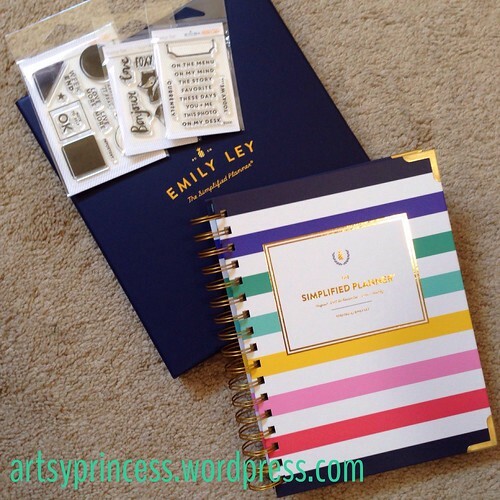 It was an amazing feeling when I logged onto my Instagram feed and found out I won an Emily Ley Simplified Planner from Kimberly Lund! I was over the moon!! The planner starts in August and I can’t wait to use it! 3 Responses to "I won!" 1 | Planner | Living life in the carpool lane..